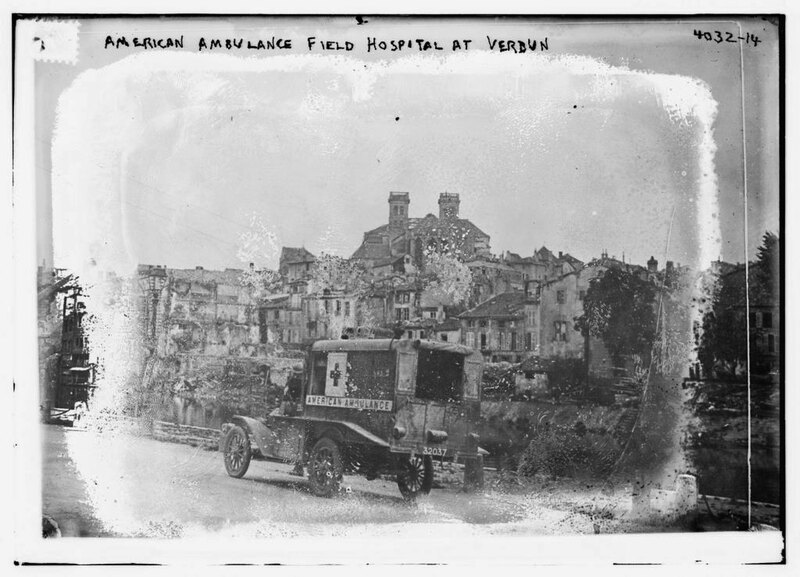 American Ambulance Field Hospital at Verdun. Bain News Service. Library of Congress, LC-B2-4032-14. While the United States government was officially neutral, some Americans in Greenwich and elsewhere founded organizations to provide relief aid in Europe. Those well acquainted with France understood the War's threat to people, national treasures and the built and natural environments. Others banded together through shared ethnic origins to do good works. 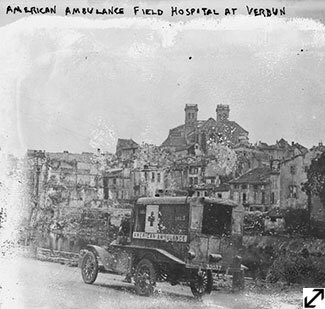 Field Headquarters American Ambulance Near Verdun. Bain News Service. Library of Congress, LC-B2-4034-7. 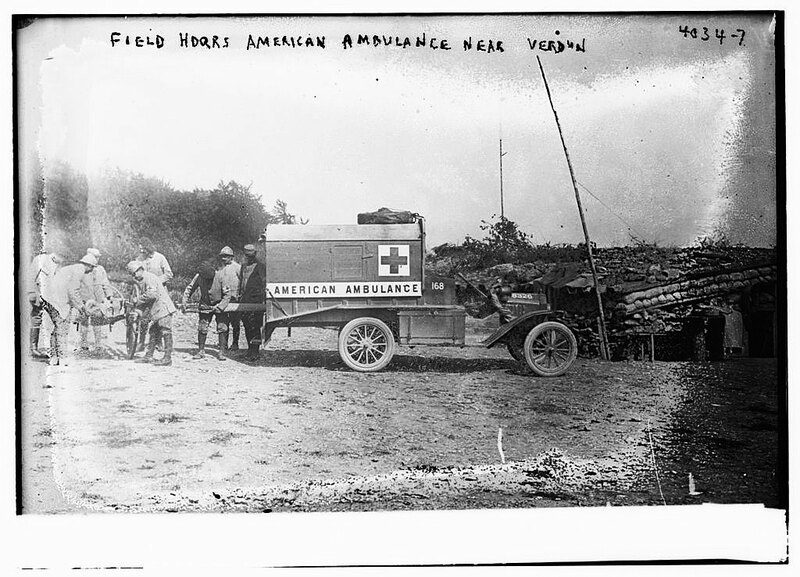 One of these organizations, the American Field Service, initially served as ambulance drivers for the American Hospital in Paris. 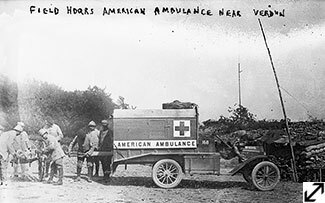 These volunteers transported supplies, munitions and people, including over 500,000 wounded. Members from Greenwich included Henry Beales, Victor Geibel, Allen Topping and Carlton Tuck. The unit was absorbed into the American Army in 1917.